Conversation started 24 March 2014, 10:46 a.m.
PHIL: Well here we are, Season 1, Episode 1 of this little experiment. First off, thanks Eric for being willing to act as Guinea pig here. Word has it that you’re under deadline and feeling the pinch in the studio. I’ve always found procrastination to be the best medicine in these situations, so hopefully this little sidetrack does you some good. This week to help celebrate the first anniversary of one of our local indie bookstores here in Ann Arbor, Erin and I are doing an event called Deep Cuts. We’ll be talking about a handful of our favorite lesser-known children’s books, past and present. These are books that we love and that we go back to again and again for inspiration. I always like to ask fellow bookmakers: What books do you love that should I know about? ERIC: I am thrilled to be cast in the role of Guinea pig. It makes some sense to a guy who draws rodents for a living. I’m not sure how it shaped and influenced me, but I grew up in a house with few books. There was the Sears catalog and that Norman Mailer novel that kept the end table from wobbling. Most of what I know about kid’s books came later when I found myself teaching kids and thinking about stories told with words and pictures. Since then I have found hundreds of books that have influenced the books I make. I confess I look at children’s books with a selfish eye, always curious about what I can learn and take away. A few years back I made a book called Pumpkinhead about a boy who quite literally loses his head. After I made the book I began to encounter other books that exploited that underserved and overlooked genre of children’s literature: decapitation. I was charmed. 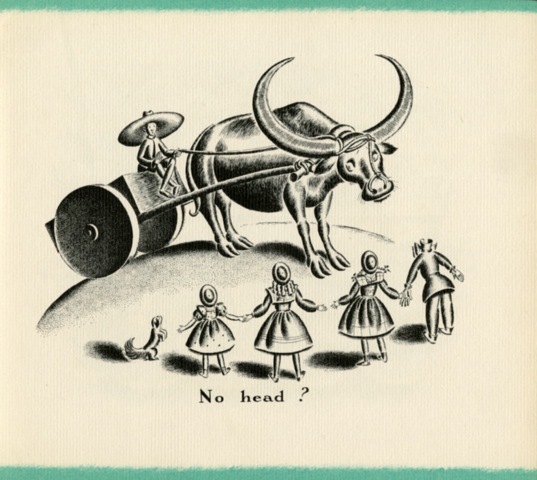 Books like Arthur Yorinks, It Happened in Pinsk (1983) and Helen Bannerman’s bizarre, The Story of Little Kettlehead (1904), but my favorite is Helen Sewell’s surreal Head for Happy (1931). I originally responded to the spectacular black and white, art-moderne inspired lithographs but it’s a wonderful bit of visual storytelling and gives the reader a sense of what the world was like in a time when very few people traveled as our hero’s search for just the perfect new head for Happy. 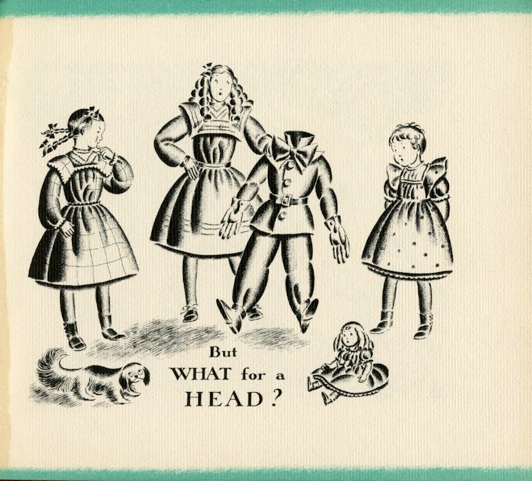 Recently, the children’s lit professor, April Bedford showed me, What Happened to George (1958), by Betty Engbretson, another odd tale that appeals to the Wes Anderson part of my brain. 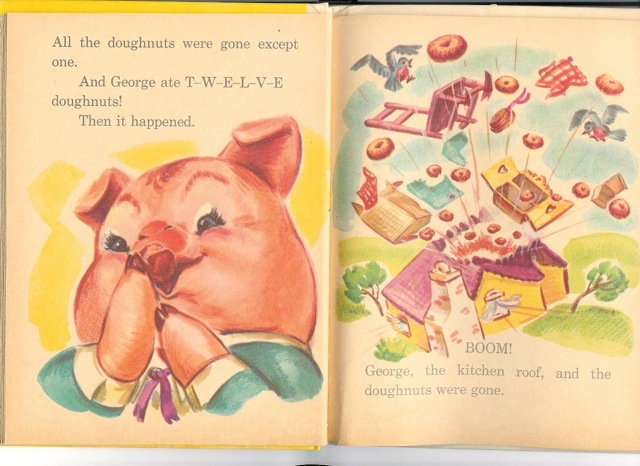 Who doesn’t love an exploding pig? 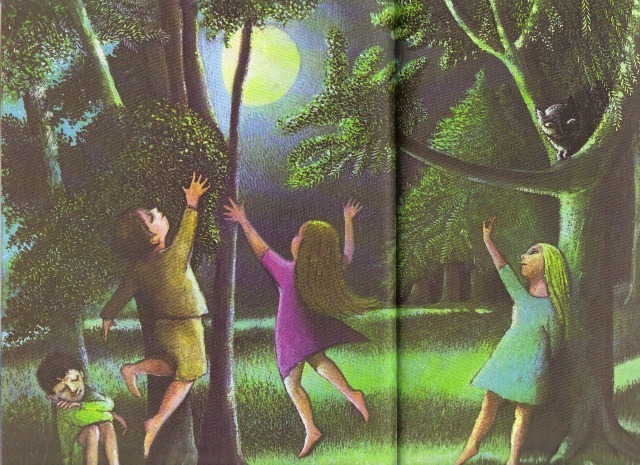 Its hard to say that a Sendak illustrated book would be overlooked, but I find myself constantly returning to Janice May Udry’s The Moon Jumpers (1959) to study Sendak’s atmospheric pictures that led to Where the Wild Things Are four years later. Misplaced heads, exploding pigs, and kids dancing late in the moonlight are hardly what most think of as appropriate subjects for young readers. But these books tap into the part of children which recognizes story as limitless possibility. Kids, after all, do not get snagged on what these books might mean in the adult world. You will see a common thread in these titles: they are strange, and they work in the all-embracing, effervescent way of a child’s mind. PHIL: I love that answer for a couple reasons. First, I think it’s ABSOLUTELY possible to overlook Sendak, if for no other reason than that the primary books in his canon shine so brightly. One of my own all-time favorite picture books is How Little Lori Visited Times Square. 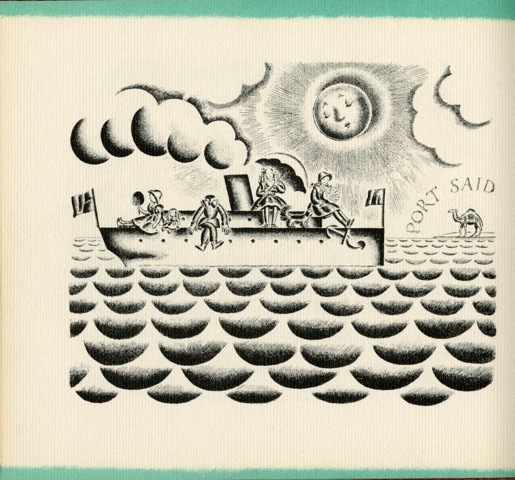 It was illustrated by Sendak and written by trivia-question-waiting-to-happen, Amos Vogel. As far as I know Vogel only wrote this one book. The rest of his life was devoted to the promotion of avant-garde film in New York City. He was a co-founder of the New York Film Festival. Here’s another future trivia question for you: Little Lori has one of my favorite children’s book sight-gags, a New York City billboard that just says EAT FOOD! We revived that dumb little joke in Amos McGee. As Amos enters the zoo there’s a tiny billboard that says Eat Vegetables!. Erin and I are vegetarians after all. But I digress. The other reason I love your answer is because it reveals a giant gap in my children’s book knowledge. Unlike you, I grew up in a house full of books. But I started with middle-grade material pretty young so I have very little memory of picture books around the house. The two exceptions are Sylvester and the Magic Pebble and Swimmy—two books that I still love, and two books that I could sit and write whole essays about. But anyway, picture books were largely foreign to me until college when I began frequenting a used bookstore here in Ann Arbor called Kaleidoscope. Kaleidoscope was and is a pretty amazing place for children’s book lovers and I made up for my lack of exposure in a hurry. I read hundreds and hundreds of out-of-print books and was exposed for the first time to the work of the Martin and Alice Provensen, Brian Wildsmith, Victor Ambrus, Evaline Ness, and even Eric Carle (as dumb as that sounds!). Looking back now though I realize that I never gravitated to books made prior to 1960. Because of that I’m still largely ignorant of artists who did their best work in the 1930’s, 40’s and 50’s. Not long ago I was asked to write a foreword for a biography of Maud and Miska Petersham. The idea was that Maud and Miska were a husband/wife team like Erin and I, so maybe I’d have some special insight into their work. It’s embarrassing to admit, but I knew next to nothing about their work and had to spend a week educating myself before I could even sit down to write. Ok, one more digression that will, I promise, lead to a question. Maud and Miska Petersham, I now know, lived and worked in the Catskills near Woodstock, NY. Erin and I lived in the Catskills near Woodstock, too, for one horrible year. I won’t go into details, but let’s just say our living conditions were less than adequate. I guess you have to make sacrifices sometimes when launching your book career. Anyhow, we got out of there as fast as we could, landing back in Ann Arbor with a moving van full of stuff and no real place to live. This time in our lives is immortalized on the Amos McGee flap copy where it notes something along the lines of “Philip and Erin divide their time between New York City and Ann Arbor, MI”. That flap copy was written by me while sitting at a public computer at the district library searching for available apartments in either Ann Arbor or New York City. “Divide their time” just sounds nicer, don’t you think? Ok now, here’s my question. I’m always curious to know why and how my artist friends have ended up where they are. Was Chicago a choice? And whether or not it was, do you think it affects how you work? Which makes me kinda digress for a moment… I have always been a proponent of the book where the main character, or the reader as the main character, is the engine of their own salvation. The All Knowing Adult seems easy, like a magic sword appearing on the last page to slay the dragon. Stories like this are quaint and seem a relic of a more didactic time in children’s literature. Unfortunately, we still see the All Knowing Adult. Self reliance is deferred to dependence. Candy and I were at a conference a few years back when a university president gave a speech about the importance of the “elder parent figure” in children’s literature. Halfway through the talk he spoke of the Parson Weem’s chestnut about George Washington cutting down the cherry tree (“I cannot tell a lie…”). He correctly pointed out that the story is fiction but then went on to say that it’s ok to present the story to children as “fact” because the positive message may not be true but is “directionally correct.” It struck me as corrupt that someone would use a story where the main character says, “I cannot tell a lie” to encourage lying as a teaching tool. I remember Candy’s face reddening to a slow boil. That’s my girl. Back to the question… how the place you work effects your work. My first book, called Time Flies, was made, not in the isolated Catskills, but the isolated Berkshires of western Massachusetts. It was winter– a particularly snowy winter– and I was living rent free in a tiny cottage on the grounds of an vacated estate looking after the place until spring. I had sold the book that December and had to finish the eighteen paintings by May. I had not made eighteen paintings in my entire life and now I had these complex, full color oil paintings to knock out in four months. Monkishly I toiled and by late spring had no idea what I’d made. Day after day of seeing the same pictures caused a sort of blindness– what was once fresh was now common, even coarse. With little choice, I carried on always in the shadow of the looming deadline. My romantic side sees those days with the sun blotted out by blustering snow, crows ruefully cawing in the distance, the intrepid artist alone waking wearily each day to Create. The intellectual side of me knows better. Although directionally correct, the truth is that most my days that winter were spent in a sort of anxious frenzy trying to learn how to paint and discover the best way to tell the story. And it hasn’t really changed after twenty years. When I returned to Chicago, to help care for the very Great Aunt who had Cubby in her house, I dreamed of a studio in a cozy wood overlooking a shimmering lake, but instead worked in small rooms in small apartments and it never seemed to matter. Working on something you care about pervades and inhabits you. It filters out whatever’s around and the work gets done. PHIL: Gosh, where to begin? The whole George Washington thing just gives me the heebie-jeebies. Besides just being condescending to children, the whole notion of the All Knowing Adult is, well, unoriginal. Not to mention unbelievable. Have you ever met an All Knowing Adult? Has anyone? My first book, Creamed Tuna Fish and Peas on Toast, is probably my biggest statement against All Knowing Adulthood. Creamed Tuna Fish is my weirdest book to date, and by far my biggest flop. When I read it at school visits though it absolutely kills. The book is based on the true story of how my Grandpa Jack, in a fit of rage, dug a hole in the front yard and buried his least favorite meal. He carved a headstone for it and everything. All of this took place in suburban Detroit sometime in the mid-1950’s. The casserole dish is still there as far as I know (an old neighbor once showed up at a book signing). The book features my Grandpa Jack, my Grandma Jane, and their five children. Of course, throughout the book the children are fully in control—deliberately goading Jack towards total meltdown. The adults waffle between general cluelessness and total mania. In my mind it’s a pretty accurate reflection of how most children view their surroundings—chaotic and unpredictable, with a very thin line between high comedy and high tragedy. That reminds me, and I’ve probably never told you this, but there are some pretty important elements in Creamed Tuna Fish that I lifted (let’s say “borrowed”) from your book, My Friend Rabbit. 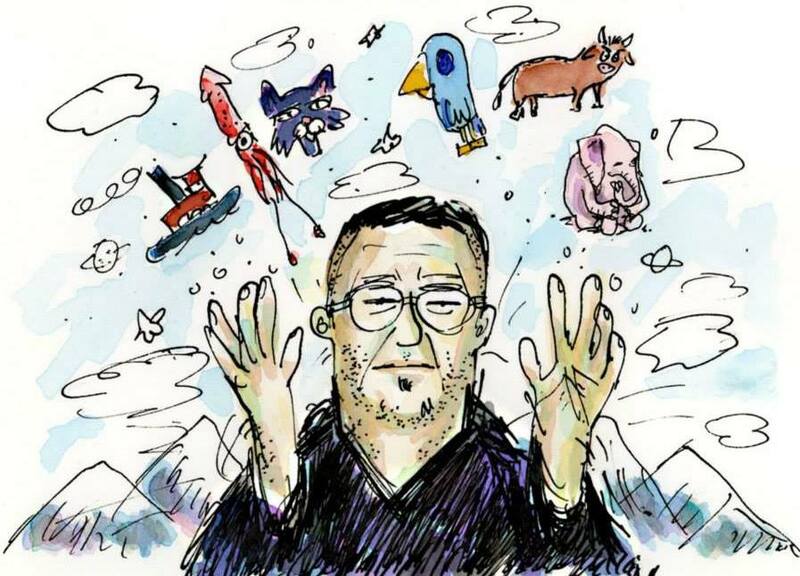 In My Friend Rabbit the climax is signaled by the scattering ducks. I loved how that spread acted as a dramatic pause before the big CRASH. In Creamed Tuna Fish I did pretty much the same thing, yellow bird and all. Generally speaking, My Friend Rabbit is one of the most perfect picture books I’ve ever seen. I still find myself reckoning with it every time I sit down to make a new book. If picture books are a language unto themselves then My Friend Rabbit is one of a handful of Rosetta Stone-like books for me. 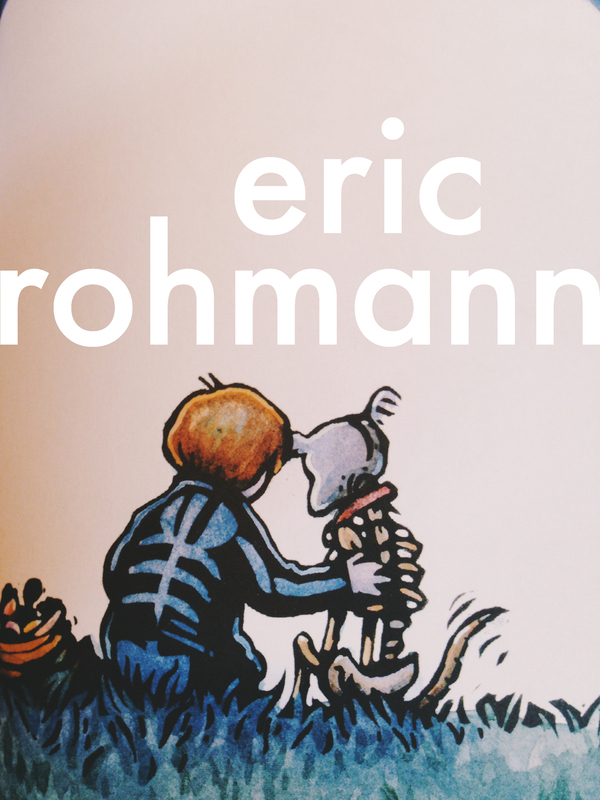 That said, if I had to pick only one Eric Rohmann book to take with me to a desert island it would be Bone Dog. What I love about Bone Dog is its commitment to vulnerability. So many children’s books these days seem to take on an affect of ironic detachment. Cleverness over real feeling. This is somewhat vexing to me as I have yet to actually meet an ironically detached child. 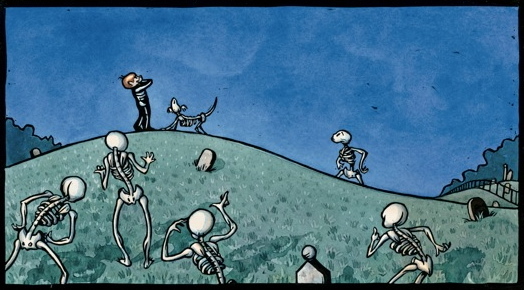 The sadness, the humor, the hope, and the loss in Bone Dog are all real. And that’s why I love it. Hmmmm, as I climb back down off my soapbox I’m realizing that I haven’t asked you any real questions. ERIC: It’s a damned shame that so often “weirdest” and “the biggest flop” seems to find their way into the same sentence. Pumpkinhead is not my biggest flop, though it is firmly in contention, and when it was published the response was similar to your experience with Creamed Tuna… My book arrived in 2003, the year I won the Caldecott, and it surprised many who only knew me by My Friend Rabbit. One reviewer even wrote that it was the most “corrupt” children’s book “ever made”, which has always confounded and charmed me is some strange way. 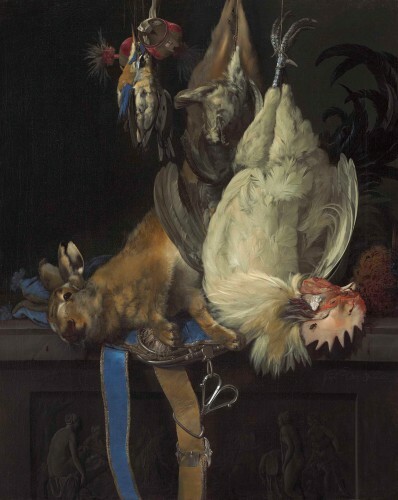 It is fascinating to see how a story like Creamed Tuna… which is nothing like My Friend Rabbit, makes use of some of the same visual elements. I thought about consulting my lawyer, but then realized that my own books generously borrow from other works of literature and art. Time Flies begins monochromatically and then bursts into color– all thanks to the memory of the Wizard, Dorothy and her little dog, too. It’s the way art works, standing on the shoulders of giants and all that. T.S. Elliot said, “Immature artist imitate, mature artists steal.” If you have a problem with art leading to other art in such a direct manner, take it up with the poet. Those two spreads from Rabbit and Creamed Tuna slow down the story, create suspense, hold the reader and give her time to consider what is about to happen next. 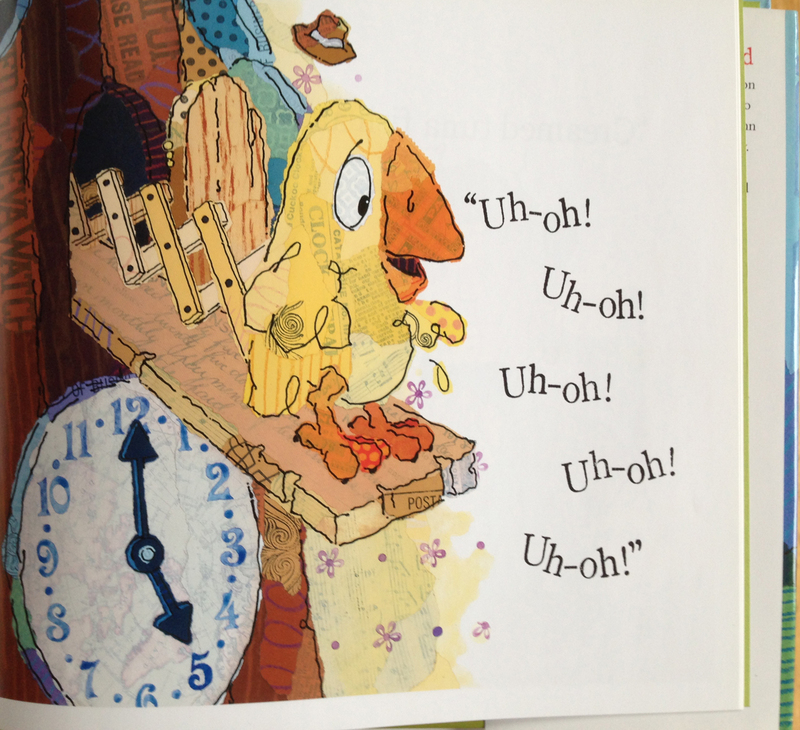 The one characteristic that best defines the picture book is the page turn. Sewn along one edge, the pages cannot be rearranged and so they always follow one after the other in a sequence that travels through time. As you turn the page you are engaged with what you have just read. The pictures and text have given you clues about what’s going to happen next but does not reveal everything. As we turn the page our mind reaches out. We consider what’s next, anticipating what might be coming. After the turn, we see we had it sort of right but something unexpected happens. In the best page turns there is a subtle alchemy at work, because the unexpected always feel right as if it could not have been told any other way. The page turn is the confluence of anticipation and surprise. It affirms, confounds and surprises all in the flip of a page. Thanks for your kind words about Rabbit. It’s a book that perplexes me because all the things that work best in the storytelling–written and visual– sort of came about in the making and I can’t intellectually pinpoint how I got there. This, of course, is disconcerting because if I could only discover what makes something work I could do it again and again. Instead, it sits there taunting me. I know the book works, but I’m not sure how it happened. And thanks for your thoughts on Bone Dog. Of all my books, it’s the one I’m most proud of. I’ve always thought that the best picture books take one subject or theme, usually something simple and familiar to all readers, and find ways of looking at it in unexpected manner. Bone Dog began as a bit of slapstick and for some reason– that again is unclear to me!– turned into sometime else. I found myself including many themes and emotions that at first were a complex muddle: joy, fear, grief, absurdity, and the enduring feeling for something we have lost. I was confronted with the task of simplifying and clarifying all these elements into coherence. Unfortunately, the book flopped (not my biggest flop but firmly in contention!). For most adults it’s a hard sell, what with Ella the dog dying on page five and all. But I don’t write for adults and in all the times I’ve talked about the book with kids they have never balked at the death. When I asked a second grade boy if it upset him that Ella dies in the first few pages he replied, “No, because there is the whole rest of the book.” Kids go into a book openminded and trusting. They turn the first page magnanimously. When Ella dies it’s something that happens in a story– something essential– but they want to see what happens next. Is there any wonder why we write for kids? As far as what’s next, I’m at work on a trio of books with Candy Fleming: Bulldozer’s Big Day, Giant Squid, and Go Sleep in Your Own Bed. A few years back after the commercial failure of two books– Bone Dog being one– I began to re-evaluate my own stories. I concluded that what I want to write is not always in harmony with what people want to read. It was just then that Candy showed me Oh, No! With my confidence waning, there was no better way to find my way back to picture books than a jaunty, playful farce brimming with surprises and jungle animals. The project you mention, Giant Squid, began years ago when we sat with my editor Simon Boughton and talked about nonfiction in picture books. Like any project worth doing, it has been a puzzle and due to seemingly insurmountable problems, we actually abandoned the thing a number of times. Then Neal Porter saw the storyboard and said that it should be a book. I argued, but he is way smarter than me and so we are again tangled in writhing tentacles. PHIL: So, just for context for those reading, it’s now April 3, 10 days since the start of this conversation. In my first entry I mentioned the event that Erin and I were about to do at our local indie. The event has now come and gone and was a big success. We read from and talked about eight “lesser-known” children’s books. There were three books that we read start-to-finish while projecting the art up on a big screen. Forgive us the copyright infringement, but Bone Dog was one of those three. I counted at least three adults in the crowd that were visibly in tears. What really interested me though was the reaction of the kids in the crowd. Of the eight books, Bone Dog seemed to be the most popular with the kids. None of the children seemed crushed by the heavy theme. It got me wondering, kids deal with loss and death too, but are they just more ready and capable to deal with that loss with magic? Interesting stuff. After the event one of the deeply-moved-adults came up to me and asked if your skeleton dance was an homage to Matisse’s Dance? “Great question!” I said. “I have no idea!” Well? Your experience with Neal and Giant Squid is familiar to me. So many of our projects have begun with Neal just saying: “This should be a book!” My favorite book that I’ve done, Jonathan and the Big Blue Boat, started that way. The big blue boat was just a single image in my portfolio. Neal said something along the lines of: “This boat needs a story.” Thus began the most fun, rewarding 12 months of art-making in my life so far. Neal’s going to kill me for showing this, but I really love this image of him taken recently in Bali. 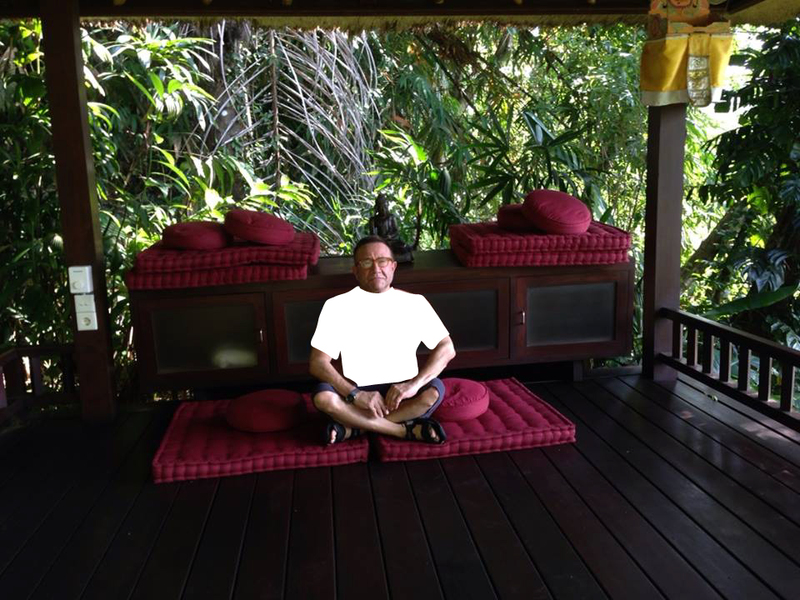 It reinforces his whole editor-as-Buddha mystique (digital t-shirt added upon request of the editor). In general I take art direction very poorly. I’ve learned that Neal’s suggestive yoda-like approach is really the best fit for me. A more hands-on editor would easily draw out my meanest qualities. ERIC: Hey Phil, I was fascinated to see the Matisse comparison. Part of me wants to say that I did borrow from Henri’s Dance II (which would show my good taste) but I’m afraid I can’t. Well… let me amend that: I did not consciously borrow but have seen the painting many times in reproductions and even saw the glorious canvas in The Hermitage in St. Petersburg a few years back. I searched through my travel sketchbooks with the idea that I had drawn the painting and in a notebook from the late 1990’s found that I had pasted a postcard of the preliminary “sketch” version, Dance I (made a year earlier in 1909) from the Museum of Modern Art in New York. What startled me wasn’t the subject but that this version shares the over color palette of Bone Dog! Although I have no recollection of making the connection at the time, perhaps the painting has lurked in my memory and found it’s way in when I made the book. When I saw the more colorful Dance II all of the sudden a familiar image was made new. In Dance II the color becomes the driving force of the movement. Matisse painted his wild orange dancers against a backdrop of blue– the complimentary, or opposite, color of orange– and just like that the painting began to shake and writhe and vibrate with the energy of color. 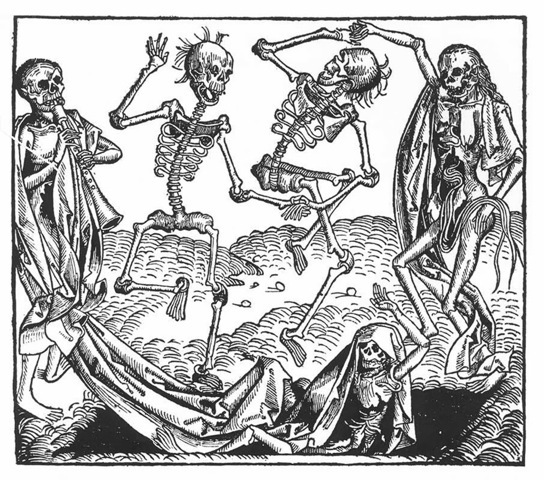 During the plague years in Europe the image was everywhere. Here are two of my preliminary drawings made while thinking about these images. 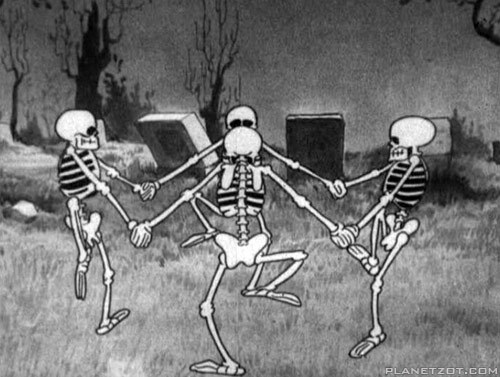 Notice that the first of these sketches was much like the Disney version, where the skeletons were holding hands. …which leads to another book that influenced my pictures for Bone Dog. Sendaks’ pictures for both Wild Things and The Moon Jumpers found their way into my picture making. We are magpies. I clearly didn’t take everything from Thomas Hart Benton’s Achelous and Hercules (1947), but when I saw the huge 22 foot painting I responded to the bent and contorted figures in the foreground and recognized how I could use the composition for a tricky scene in the book. 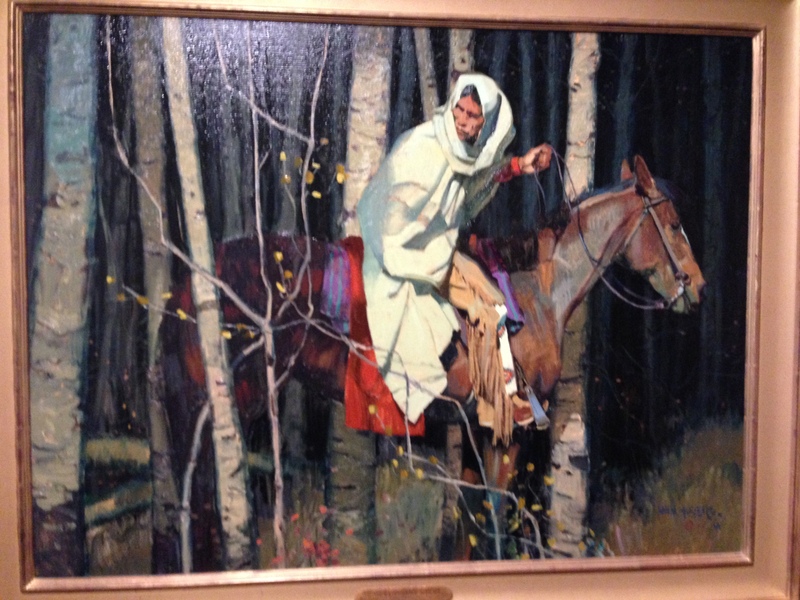 I simplified the action– the Benton painting has a large red/brown bull to draw the eye–but I needed the reader to look first at the boy and the dog. 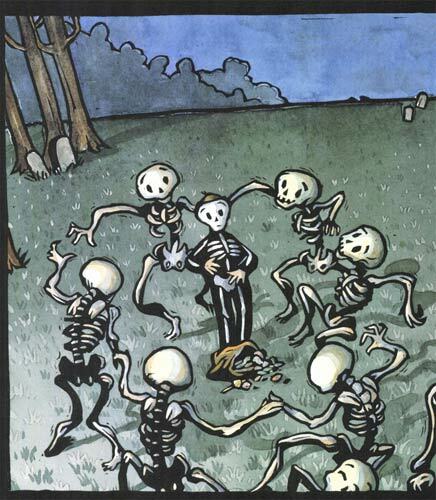 In the book, its a scene that reminds the reader that the action takes place in a graveyard in the greater world. I will admit it’s not the most compelling image in the book and there is a reason for that. I once heard a very well known children’s book illustrator say that every image in a book has to stand alone. I disagree. Pictures in a book serve one master and that’s the story. In stories there is always a natural ebb and flow and sometimes an image purpose is not to wow the eye or impress the senses, but simply to move the story along. The image sets the stage for the next pages where the action picks up again and propels to the climax and resolution. PHIL: Wow, lots to respond to here! I’ll admit, when we started this conversation I had a short list of topics I was thinking we’d cover. We’ve addressed pretty much nothing from that list and I couldn’t be more thrilled. I know you’ve got books to make and deadlines to blow so I won’t keep you much longer. Usually when we attend conferences we’re booked solid from touchdown to takeoff with signings, book talks, fancy dinners and such. We lucked out this time and had one whole day off that we used to explore the city. 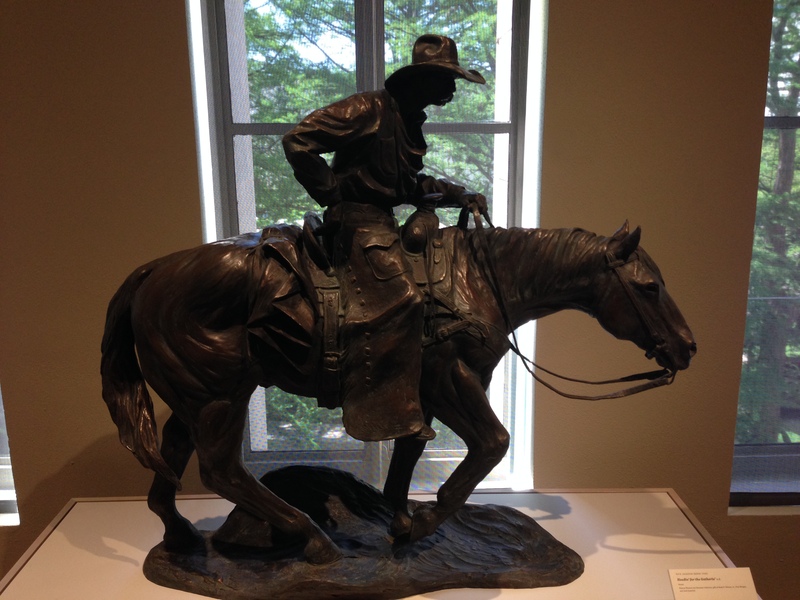 Just down the street from our hotel was the Briscoe Western Art Museum. 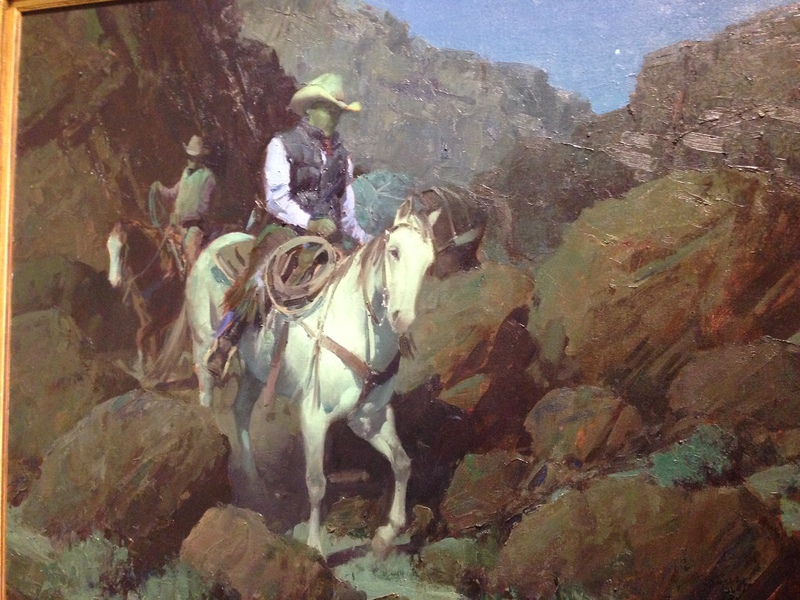 This’ll probably surprise some folks, but I’ve always loved cowboy art. This goes way, way back to when I was a kid. 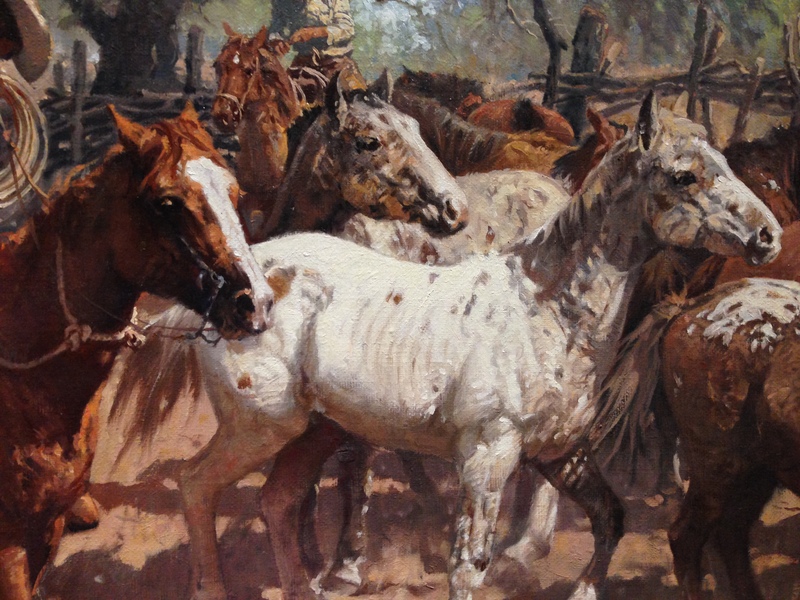 I spent hours holed up in my bedroom copying Remington paintings. I didn’t have oil paints of course, but I used every last color in my Prang Deluxe Colored Pencil set. In junior high I turned to comics, and in high school I turned to…well…girls, I guess. In college I got real serious for a while and turned to heady abstract and expressionist art—Cy Twombly, Anselm Keifer, folks like that. But now that I’m a full grown adult (sort of) I find that I’m right back to cowboy art. I suppose, maybe, it’s because the pictures tell such great stories. And really, it’s Story more than anything that gets me excited. In real life I’ve never even ridden a horse. Now, cowboys aside, I really like what you said: Pictures in a book serve one master and that’s the story. I completely agree, although it’s taken me a while to get used to this idea. In my first few books I really fought the urge to show off on every page. Every piece of art seemed like an opportunity to display every last little thing I’d learned about picture making over the years. I’d get depressed when a page here or a page there seemed to be going to waste, if it had no other function than to move the story along. I really learned my lesson though while working on A Home for Bird. The entire process of making that book became an exercise in story first, ego second. I can count on one hand the images in that book that I was really excited to make. Moreover, I was working in an art style that was completely foreign to me. It was the only style that made sense though if I was going to be true to the world I thought my characters would inhabit. In the end I turned in a book that I was deeply embarrassed by. I was convinced I’d be eviscerated in the reviews. My career, over. But in a weird twist, A Home for Bird became my most critically successful book. Something in that book worked despite all the teeth-gnashing and hair-pulling that was going on in the studio. In the end, story matters most. Alright, now I’m rambling. As a sign off I’d love if we could get a peek inside your studio right now. Good art, bad art, piles of trash, or whatever else is just hanging around. There’s something always so exciting about watching art in action. It’s why, after all these years, I’m still a sucker for Bob Ross painting on PBS. That is about Twombly, but could as easily be a succinct take on Remington. My relationship with Western art is a bit more complicated. I grew up at a time when the black and white television was dominated by westerns. By the mid sixties the stories had become ordinary and cliche. There was a uniformity to the storytelling because viewers had grown to expect certain features in a western (i.e. white hat good/black hat bad, the swinging saloon doors, the kind hearted madam…). I recall my Great Uncle Ed, who grew up in rural Nebraska in the late 1800’s, growling at the clothes worn by the characters on the wildly popular Bonanza. He commented that the characters never changed their clothes, joking that if you looked in Little Joe’s closet you’d find a dozen identical gray shirts and green jackets. 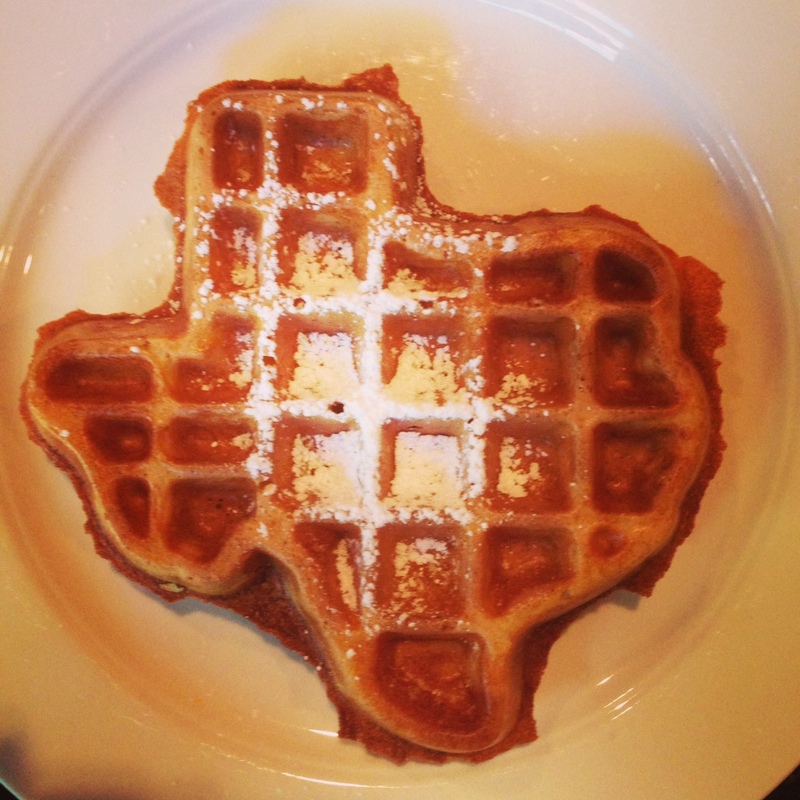 Over time we had trimmed away all the edges and come to a collective notion of a burnished, idealized American West. 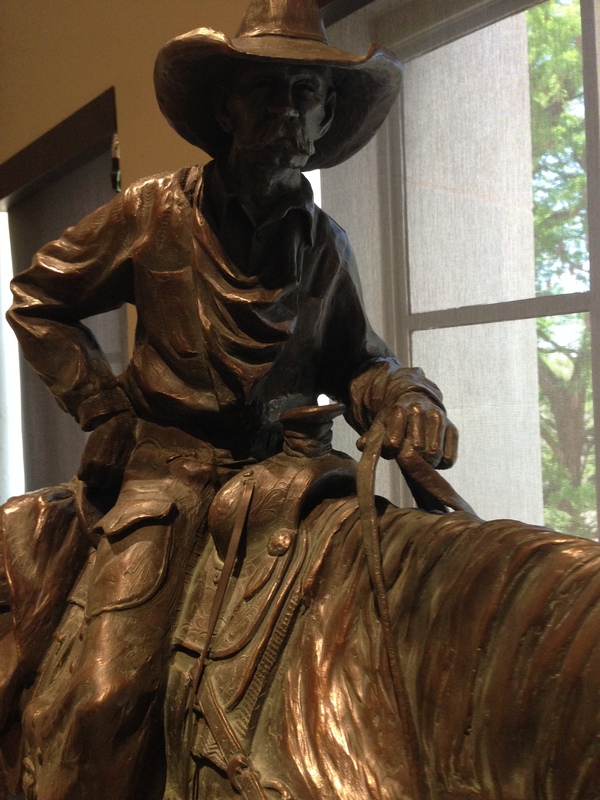 It was Remington’s images that filmmakers and writers first turned to for the look of the romantic west and so when I first encountered the artist I saw nothing but the cliches. I have looked more closely since and now recognize the great skill and inventiveness in his pictures. They are meant to tell a story first and foremost. But what we see as melodrama today he took seriously as highly dramatic, realistic moments. Over time we have lost his context and so our own experience and memory have more say then the artist’s intent. I understand the journey you took with A Home for Bird. 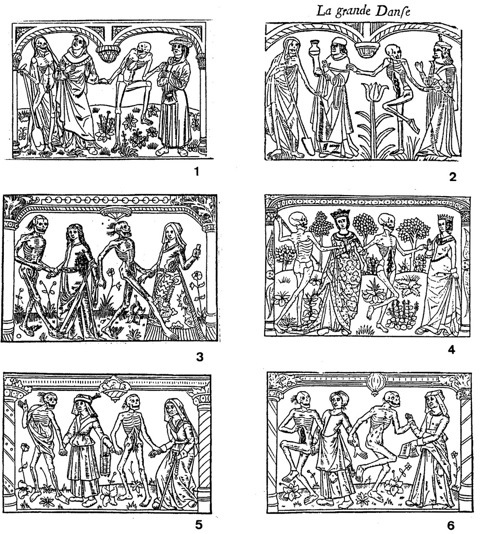 People always ask me that when making a relief print how can I cut the image in reverse and know what it’s going to look like when it’s printed. Somewhere in the process your mind makes the adjustment and reverses the image. The same mental adjustment holds for making books in the picture book form. You come to internalize the page turn, the ebb and flow of the storytelling, the need to hold back on some images in order to make an impact later in the book. Your mind begins to think in picture book. 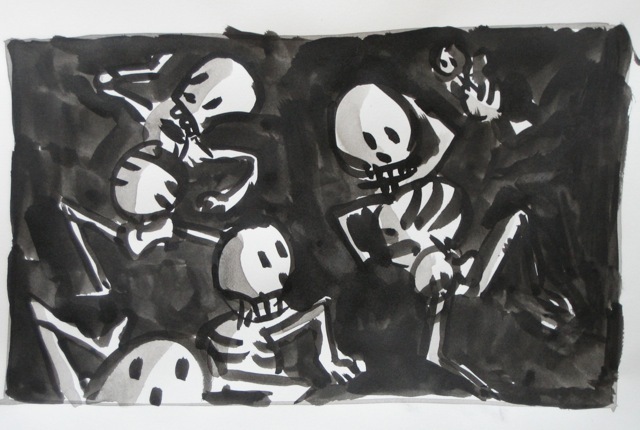 It all feels contrary to what we learn as artists, but the picture book form– the real medium of our work– insists itself upon the writing and art making. 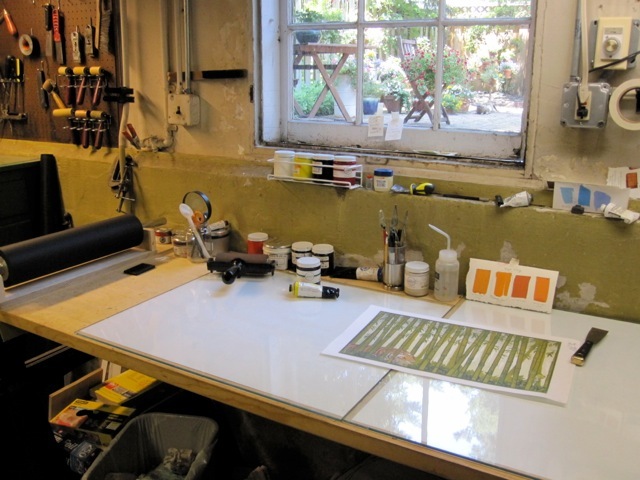 Then there is the printmaking “studio” in the basement. 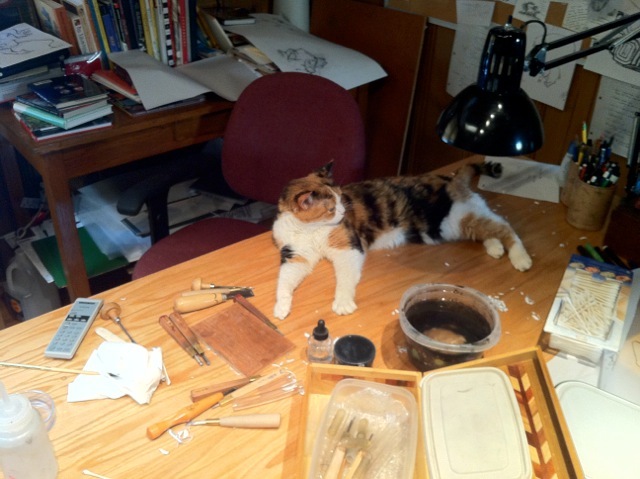 Notice the well staged art-making accouterment… the first photo is much more indicative of the chaos of creation. 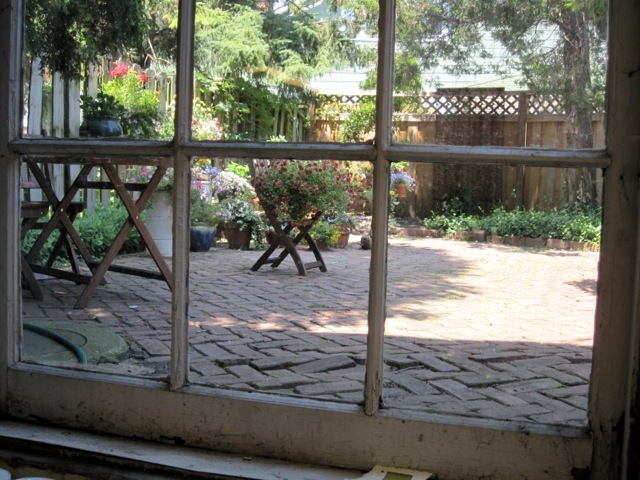 PHIL: Well, the view out to the garden seems like the perfect Zen finish to this thing. Especially since the view from outside my window right now is of 2 inches of fresh snow and howling winds. I think spring has skipped Michigan. Erin and I were talking recently about the first time she met you. It was more than 10 years ago. I’m positive you won’t remember. Erin was working at Books of Wonder in Manhattan and you came in for a book signing. This was probably shortly after My Friend Rabbit. Of course a lot of authors and illustrators came to the store, but this particular visit stood out because you took considerable time to talk with Erin about what it meant to be a working illustrator. She was just a student at the time. I think it’s pretty cool that more than a decade later we’re able to talk again, but in a whole new context. Thanks Eric, and good luck with the squid book and beyond. Conversation ended 15 April 2014, 11:09 a.m.